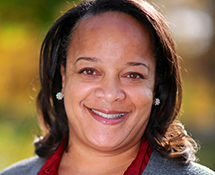 Bridget Terry Long is the Saris Professor of Education and Economics at the Harvard Graduate School of Education. Dr. Long is an economist who studies the transition from high school to higher education and beyond. Her research focuses on college student access, choice, and success, and current projects examine the effects of information interventions on student decisions, the impact of financial aid policies, and the influence of support programs on student outcomes. Dr. Long is a research associate of the National Bureau of Economic Research; member of the Board of Directors for MDRC; and the former chair of the National Board for Education Sciences, the advisory panel of the Institute of Education Sciences at the U.S. Department of Education. She has testified multiple times before congressional committees on education issues and been awarded numerous research grants, including major awards from the Bill & Melinda Gates Foundation, the U.S. Department of Education, and the National Science Foundation. Dr. Long received her PhD and MA from the Harvard University Department of Economics and her AB from Princeton University.